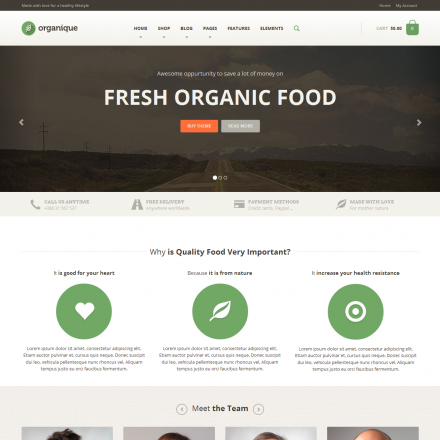 Organic Store is a premium WordPress theme. You may translate it to your language with Poedit translations editor. 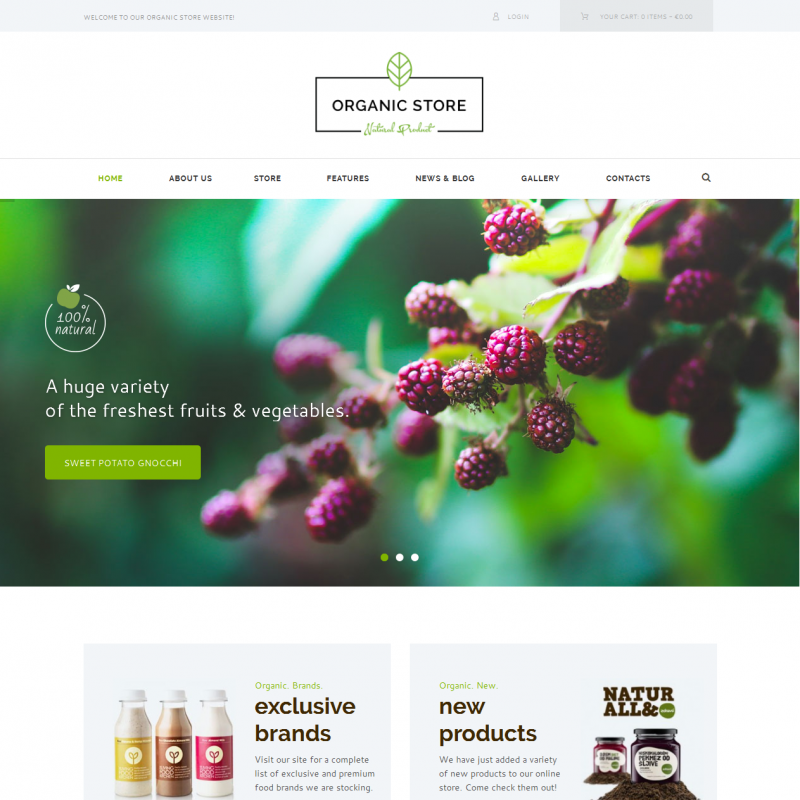 Organic Store is a theme for healthy food companies which can be used to create a full-scale online store, galleries, and a blog. Thanks to the premium plugins Visual Composer and Revolution Slider, you can create effective landing pages. 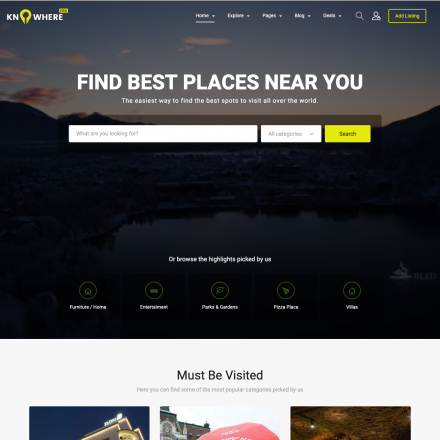 The theme offers a number of custom widgets and shortcodes that can diversify your site including featured posts and advertising widgets, a slider shortcode, a video list shortcode, and much more. 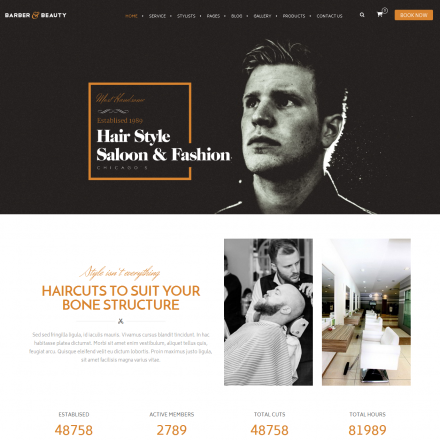 Your blog can have a classic style layout with a right-hand sidebar and large images or a Masonry style layout with 2 or 3 columns.